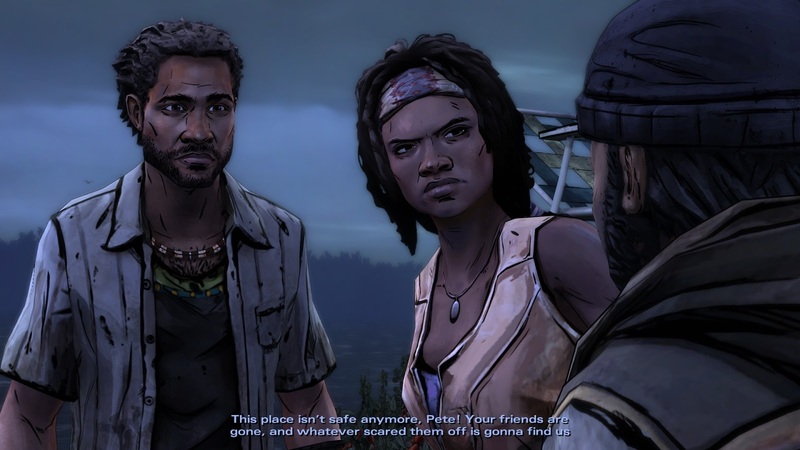 Similar to The Walking Dead: 400 Days, The Walking Dead: Michonne is a game which is set in the same The Walking Dead universe as the main series (the one where you play Lee Everett in the first season and Clementine in the second) but involves different characters. Unlike The Walking Dead: 400 Days, the characters don't seem to overlap (at least from what I've read, I haven't played A New Frontier yet) and one of the reasons The Walking Dead: Michonne was developed was to explain the absence of a major character in the comic books between issues #126 and #139, and the major character is Michonne of course, an "iconic, blade-wielding character from Robert Kirkman's best-selling comic books". 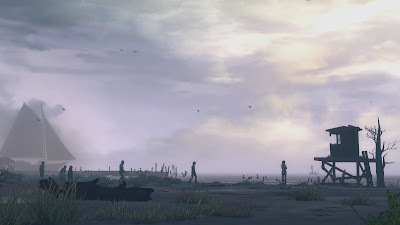 The game is described as a "mini-series" because it only spans for three episodes instead of the typical five for a usual Telltale adventure game. I apparently got the game late last year for $3.74 USD, so I must've got it during a Steam sale for 75% off. As you know, I've already played all the other The Walking Dead games by Telltale (well, except for A New Frontier of course) so it was a no-brainer (no zombie pun intended) to eventually give this game a whirl. Michonne is also mentally fragile. So, couple her hallucinations with her generally taciturn nature, and you have a character who isn't much of a people person, and that's pretty dangerous when trying to deal with the greater threat in a world where society has collapsed. It doesn't actually help me in anyway (since I've never read the comic books) but I'm sure for those that have read the comic books, this is a welcome addition. I mean, that's why you play Telltale's The Walking Dead series right? It's all about those ethical dilemmas, those life and death situations, the whole philosophical debate about who are the true monsters out there: the zombies or the survivors? Games by Telltale always has top notch voice acting and this game is no exception. You've got Samira Wiley voicing Michonne (Poussey Washington in "Orange Is the New Black"), Malik Yoba as Pete (Yul Brenner in "Cool Runnings"), Devery Jacobs as Samantha (Aila in "Rhymes for Young Ghouls"), Derek Phillips as Randall (Travis Murphy in "Longmire"), Brina Palencia as Paige (Tony Tony Chopper in "One Piece") and, last but not least, prolific video game voice acting talent, Cissy Jones as Norma. Jared Emerson-Johnson just seems to get better and better with each Telltale game. I really enjoyed the in-game soundtrack and the main menu theme is quite possibly my favourite from the series yet. The licensed music is fantastic too thanks to the blues rock track "Gun in my Hand" by DOROTHY. There aren't any Steam Trading Cards to collect but the game has 21 Steam Achievements (7 per episode). Like previous Telltale adventures, these achievements are really easy to get and finishing the game will grant you another "Perfect Game" (i.e. 100% achievements). 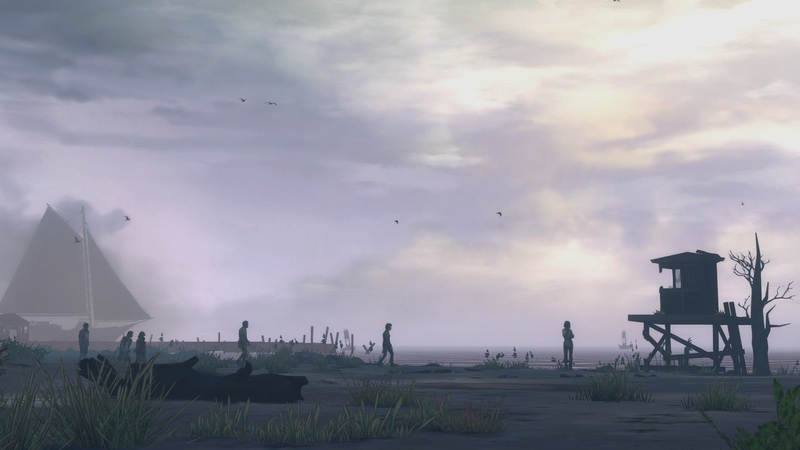 Unlike every other The Walking Dead game in the series (even 400 Days to a degree), your actions in previous games don't affect the story of The Walking Dead: Michonne nor will the actions in this game affect any future The Walking Dead games – it's independent, stand-alone, a self-contained adventure. This might not necessarily be a bad thing though as it does mean you don't need to worry about saved games and it also gives the writers more freedom in directing the way the story pans out. The game is one of the shortest Telltale adventures I've played and that's not just because there are less episodes, but also because each episode is only 1-1.5 hours long as opposed to the usual 2 hours for a typical Telltale episode. All up, the game took less than 4 hours to complete. Look, I've just about had it with the choppy animations in these Telltale adventures. In fact, the choppy animations in The Walking Dead: Michonne are the worst I've experienced yet. The main two solutions online for resolving choppy animations in Telltale adventures are unplugging your XB1 controller (which I don't own) or enabling the dedicated graphics on your laptop (I'm playing on a desktop) – so as you can see, both popular solutions don't even apply to me in the first place. There's also very little information about it on the official Telltale forums so you do feel kind of helpless when playing these games and you experience choppy animation. What the hell is causing it? 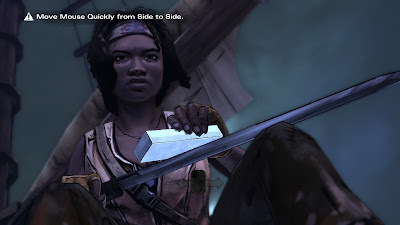 The Walking Dead: Michonne is the worst Telltale adventure game I've played yet in terms of choppy animations and the game is quite short at under 4 hours. However, if you're a Walking Dead fan, you'll want to get this game. For the rest of the gamers out there, it's what you'd expect from The Walking Dead games except it's "fun-size". Is the game worth $14.99 USD? : No. Even by Telltale Games standards, this “"mini-series" is short at just under 4 hours long. $9.99 USD might be a fairer price so be sure to check it out when it's on sale.